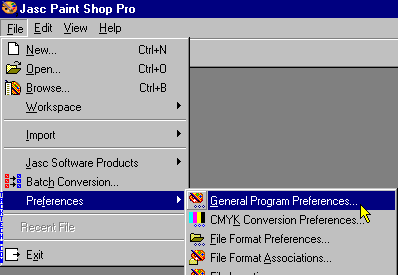 Adjust Default Resolution in Paint Shop Pro 7 (Paint Shop Pro) - TACKtech Corp. If image and printer resolutions differ images will not print the correct size. 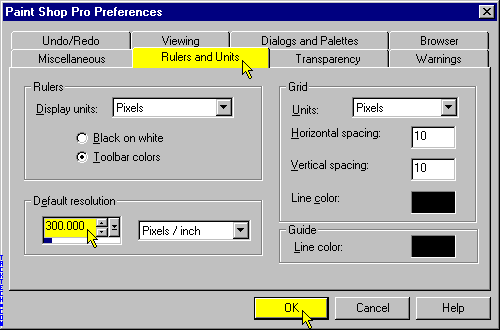 Click on the Rulers and Units tab.